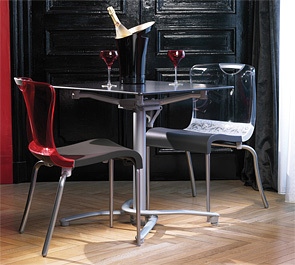 Slim profile ultramodern cafétable tops paired with contemporary style pedestal base or folding aluminum base 100. 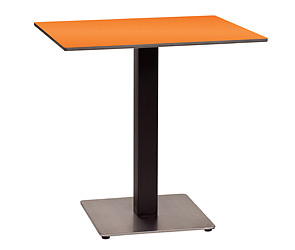 Designed expressly for indoor use commercial applications these HPL table tops are resistant to common environmental risks such as scratching, burning, staining and high heat. Table Tops and Bases are Sold Separately!